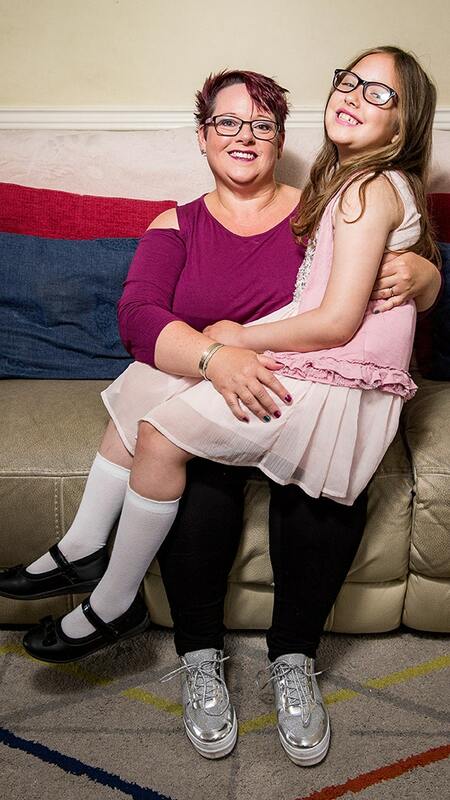 Sharon Spink, 50, pictured with her 9-year-old daughter Charlotte, who she continued to breastfeed until recently. A mom has revealed how she will miss breastfeeding her daughter after the youngster finally weaned at age 9. Mom-of-four Sharon Spink insisted feeding daughter Charlotte until earlier this year was completely normal and has cemented a lifelong bond between them. And despite facing a backlash from critics who have accused her of child abuse, Spink, 50, wants to break down the stigma around breastfeeding older children – believing there are many moms out there doing it. “When I came to have Charlotte, I had decided on natural term weaning. It’s nice for the child to be in control of when they want to wean, rather than forcing the issue,” Spink, of Sherburn-in-Elmet, North Yorksire, said. Spink said Charlotte’s decision to wean off breastfeeding slowly has made it easier. “With Charlotte it about was the security. Children find a lot of comfort in the breast, and the older they get the more it becomes about comfort rather than nutrition,” she said. Spink claims Charlotte is very healthy and rarely gets ill due to breast milk’s boost to the immune system. “There were times when I wanted to give up especially in the early days of feeding but you think ‘I’m doing this for my child. This is what she wants and I’ll carry on because I know it’s helping her,'” she said. Charlotte started sleeping through the night but would still come into her mom’s bed for a feed. “Sometimes I wouldn’t even realize and I’d ask her the next day whether she came in in the night to feed,” Spink said. By the time she was 5, Charlotte was breastfeeding three times a day but over the last four years, this has reduced to just once a month. Spink used to feed Charlotte in public places including the hairdressers, supermarket and church but now just does it at home. “Obviously there have been the negatives – usually from typical keyboard warriors who post their opinion,” Spink said. And Spink’s friends and family have been supportive of her decision. “I’m sure it’s more common that people think but mums are too scared to talk about it and are scared of the backlash from people that don’t understand that it’s normal,” she said. “In a lot of countries it’s perfectly normal to breastfeed older children and they will do it for a lot longer than we do in the West,” she said.